Kimbrough has been a pioneer in the gathering and publishing of global songs for Christian worship. He founded GBGMusik and the Global Praise Program of the General Board of Global Ministries of the United Methodist Church and has published numerous books of songs from around the world and has produced many accompanying CD recordings. 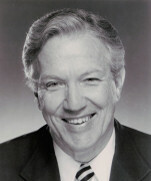 The songbooks, GLOBAL PRAISE 1, 2, and 3 were launched in connection with three General Conferences of The United Methodist Church in 1996 (for which Kimbrough was one of the music directors), 2000, and 2004. These three books bring together a repertory of between three and four hundred songs from some 140 countries. He has convened regularly a group of outstanding authors and composers from five continents to contribute to the emergence and effective use of Christian songs from many different regions of the world. You can listen to selections from the Global Praise series from the General Board of Global Ministries of the United Methodist Church here. ed. by S T Kimbrough, Jr.